Marqt (the organic supermarket on Overtoom) are selling feijoas. Although I'm sure most New Zealanders will be shocked that I paid about $1 per feijoa. 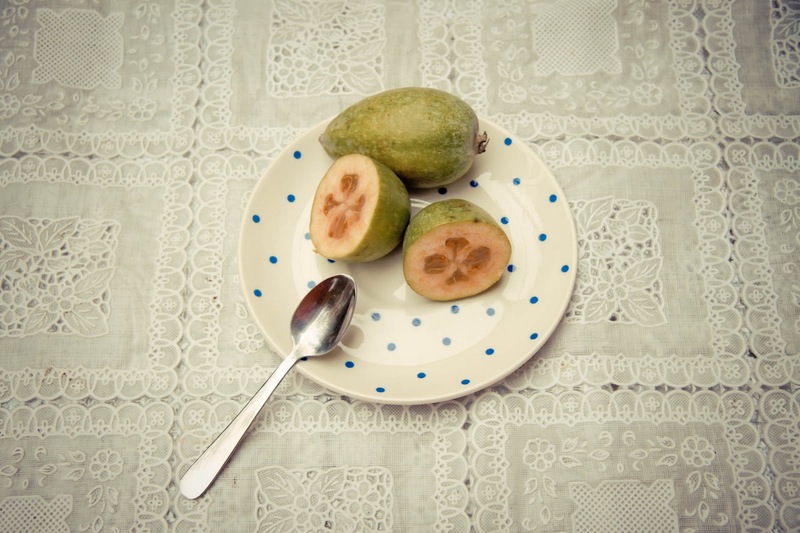 Fejoas should be given to you by the shopping bag full by your eldery next-door neighbour whose tree is overflowing. 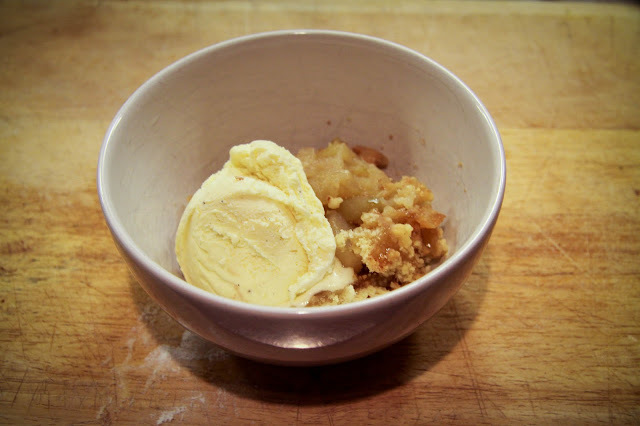 To make mine go a bit further, I stewed them with some apples to make a simple crumble. Perfect for this wintery wet weather we are enduring at the moment. Served with a scoop of vanilla ice cream, this was such a taste of home it brought on a big wave of homesickness. Peel, core and cut up the apples. Stew them with a tablespoon or 2 of water until soft. Add feijoas and pour into an ovenproof dish. Rub the butter into the dry ingredients until the mixture resembles breadcrumbs. Sprinkle over the fruit and bake until golden. Don't forget the vanilla ice cream! No rolled oats in your crumble? What is this heresy? !